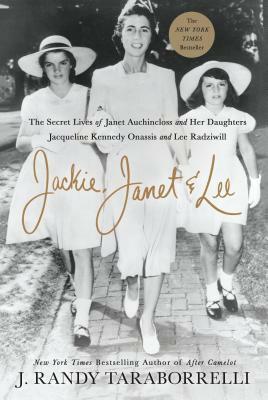 Jacqueline Bouvier would marry John F. Kennedy and the story of their marriage is legendary, as is the story of her second marriage to Greek shipping magnate Aristotle Onassis. Less well known is the story of her love affair with a world renowned architect and a British peer. Her sister, Lee, had liaisons with one and possibly both of Jackie's husbands, in addition to her own three marriages—to an illegitimate royal, a Polish prince and a Hollywood director. J. RANDY TARABORRELLI is the author of nearly 20 biographies, most of which have become New York Times bestsellers, including: Call Her Miss Ross; Sinatra: Behind the Legend; Madonna: An Intimate Biography; Jackie, Ethel, Joan: Women of Camelot; Elizabeth (a biography of Elizabeth Taylor); The Secret Life of Marilyn Monroe; After Camelot—A Personal History of the Kennedy Family 1968 to the Present, which was adapted as a mini-series for Reelz starring Katie Holmes; and Jackie, Janet, and Lee: The Secret Lives of Janet Auchincloss and Her Daughters, Jacqueline Kennedy Onassis and Lee Radziwill.